Park Hyatt Bangkok is located in the vibrant heart of downtown Bangkok, amid the capital’s key shopping, business and entertainment districts. The hotel is easily accessible for international visitors, only 300 metres from the expressway and 22 km and 27 km drives from Don Mueang Airport and Suvarnabhumi Airport, respectively. 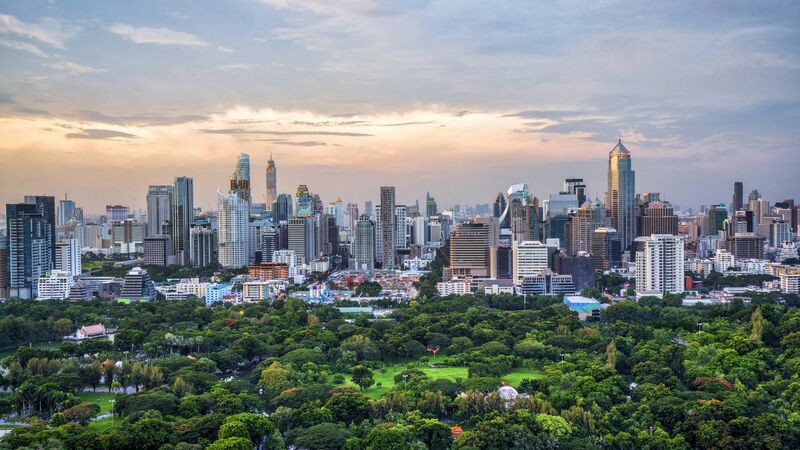 Park Hyatt Bangkok will be an ideal base to explore the myriad sights of the city, within walking distance of Temple Pathumwanaram, Erawan Shrine, Jim Thompson House and Lumpini Park, and blessed with direct access to Phloen Chit BTS Skytrain station. For guests' convenience, we are pleased to offer valet parking. From Suvarnabhumi Airport by limousine: A 35–45-minute journey in a hotel limousine, which can be booked in advance or at the airport.